Sometimes you may need to add additional payments or deductions to your employee's pay. In this article we'll review how to assign a deduction, bonus or benefit to an employee. 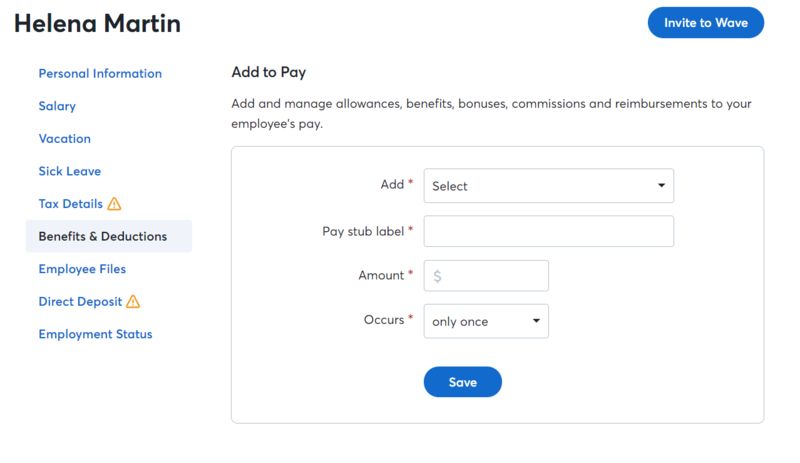 Click Payroll, then Employees in the left-hand navigation menu. Click Benefits & Deductions.Add to pay and Deduct from pay options will be in the top right corner. 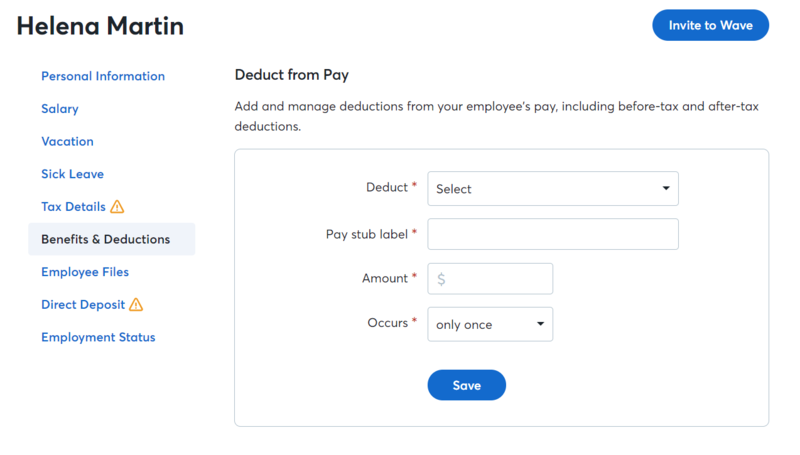 The Benefits & Deductions page displays all active and expired benefits and deductions so you can see everything in one place.